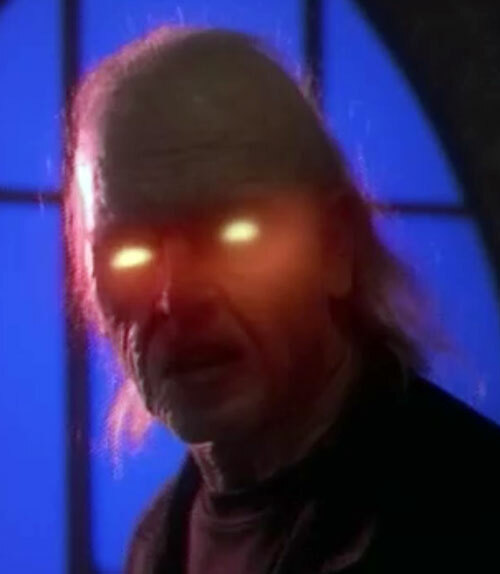 This demon was seen early on the TV serial Charmed, in 1998. For more context about Charmed, you can read a character profile for the Halliwell sisters – say, Piper. Group Affiliation: Javna is considered a level One demon in the Hierarchy of Hell. Height: 6’0” Weight: 198 lbs. Note: Height and Weight are estimates as I could find nothing online about this actor. Eyes: Brown Hair: Dark Brown, White. Javna feeds one week out of the year. He does that by stealing the lifeforce out of the young, invoking the evil eye of black magic to gain eternal youth. Javna fires eye beams into the eyes of his victims. Within seconds these age them to a frail, elderly state, while at the same time replenishing Javna’s youth. 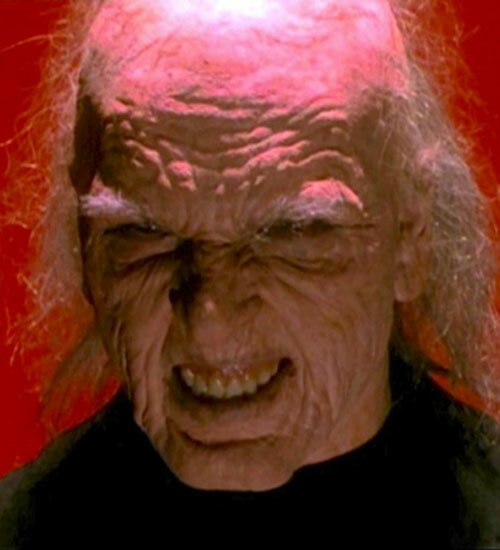 After he gets seven victims in seven days, he maintains his youth for another year. 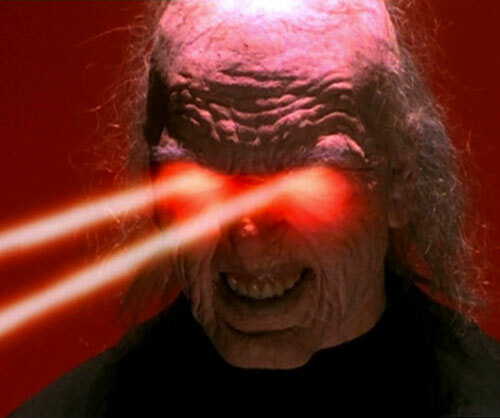 Or he may choose instead to move a victim using the telekinetic properties of the eye beams. It’s not said what would happen If Javna cannot complete the seven victims in seven days. But one side effect is that his victims are restored to their age. Lastly, Javna might be able to teleport short distances. He likely doesn’t use his powers where others may see him and uncover his secret. He may actually only use his powers once per year and only when necessary. When Javna chooses a victim to age-drain he typically goes for a young woman. Then in his guise of the attractive and famous photographer, Stefan, entices them to come alone to a remote location. In his young form Javna is seen waiting in the back of (the 5th victim) Brittany Reynold’s car. It sounds like Brittany hits her unlock (it beeps), so Stefan is sitting in the backseat of a locked car? How did he get in? 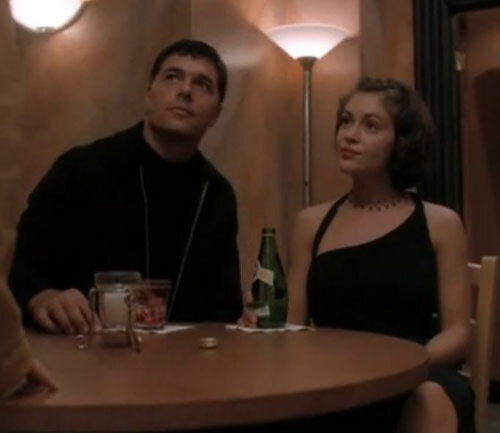 Later, when it’s Phoebe’s turn (the 7th victim) she gets a premonition about what awaits her inside. Fearful, she runs back to Piper’s van to escape, again Javna is waiting in the back of the van. How does he get there? My best guess is either he is extremely stealthy when he wants to be. Alternatively, he could teleport. Teleportation seems more likely because Javna didn’t know Phoebe would run, so, why would he get in her van? 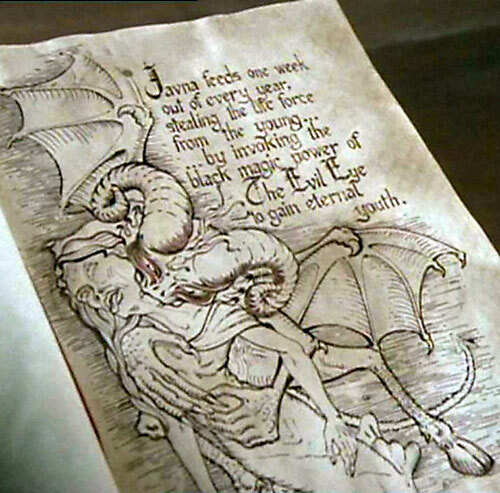 The drawing accompanied with his entry in the Book of Shadows portrays Javna as a winged demon. Thus, he might possess another form with the power to fly. But the Book of Shadow’s entry for Javna was not shown until the episode “From Fear to Eternity”. Javna has been alive at least since the time of Muhammad, since the Prophet banished him using the Hand of Fatima. During the late 20th century, in his youthful form, Javna gained popularity as a photographer named Stefan. This guise made it much easier to lure his victims in. In 1998, Stefan came to San Francisco. This was around the same time he was required to spend a week stealing the youth of others to maintain his own. Coincidentally, the Charmed Ones also came into their own powers and were in the area. Everything was going well until by chance he chose one of the Charmed ones, Phoebe, to be his next victim. She and her sisters destroyed him. Stefan became the prime suspect in the disappearance of several young women when Andy and Darryl connected him to the first victim in San Francisco. However, as Javna had been vanquished, Stefan was never found. 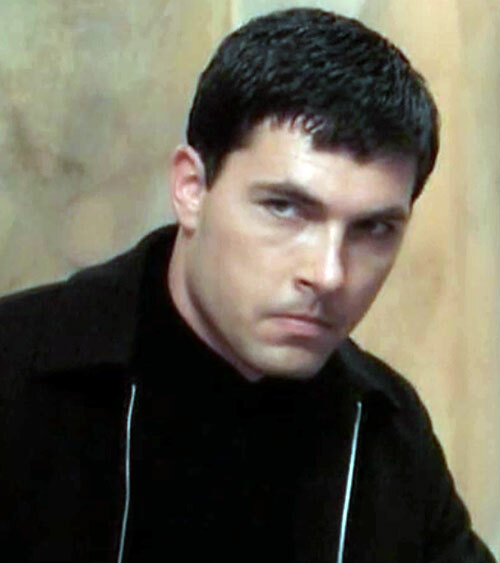 As Stefan he is tall dark and handsome with a deep masculine voice. He dresses in a modern manner. As Javna, he appears as a very old man with sparse white hair. His clothing does not change. Phoebe described Stephan as “very New York”. Javna uses his looks and popularity to allow him to manipulate others. Beyond keeping himself young forever we don’t get to see what else motivates him. Perhaps he enjoys the pleasures of this world. As Stefan he is friendly and confident. As Javna he is monstrous, screaming, and hate filled. Javna appears to work alone. Javna is a low level villain and may be a good opponent in a street level campaign. Attraction/Repulsion is Attraction only (-1). Cell Rot has the Aging Acceleration bonus and may be made permanent (Base cost +40, Fc +4) and may only be used this way (- 2). Cell Rot is contingent on Spiritual Drain (-1). Hypnotism is contingent on Spirit Drain and only destroys memories associated with Javna and Stephan (-2). Spiritual Drain may only be used to Reduce his own age and simultaneously Cell Rot will age his victim. Javna has the Age Drawback, but loses it when Spirit Draining his victims (+2 F.C.). For Javna to use either Spiritual Drain or Attraction/Repulsion he must make eye contact with his target. 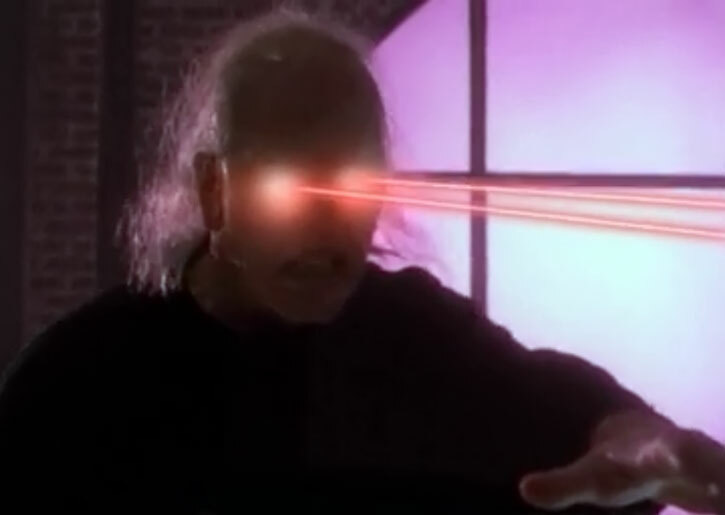 A beam of energy will be generated from Javna into the eyes of his target (-1). Eye beams may be reflected back at Javna by a mirrored surface (-1). Teleportation is Self only (-1) and Range is normal instead of +7 (-1). Attractive (As Stefan), Immortal, Popularity (As Stefan). Age: 0ld (As Javna), Secret Identity, Strange Appearance (As Javna). Javna does his Spiritual Draining once per year to stay young and has been doing this for a long time. He has been banished before and it didn’t finish him. So, I’m giving him the Immortal Advantage because he likely cannot die naturally but he can’t have his young form without the Spiritual Drain. Source of Character: Charmed T.V. Series, Season 1, 1998 episode “I’ve got you under my ski”, character played by Michael Phillip. Writeup completed on the 11th of October, 2012.